An iPad alternative? With features like Nvidia Tegra 250, 10" display, Android 2.2, HDMI, USB 2.0, webcam and 16 GB of flash memory, the hardware equipment sounds quite tempting. Find out why Apple's iPad still isn't troubled in the following review. 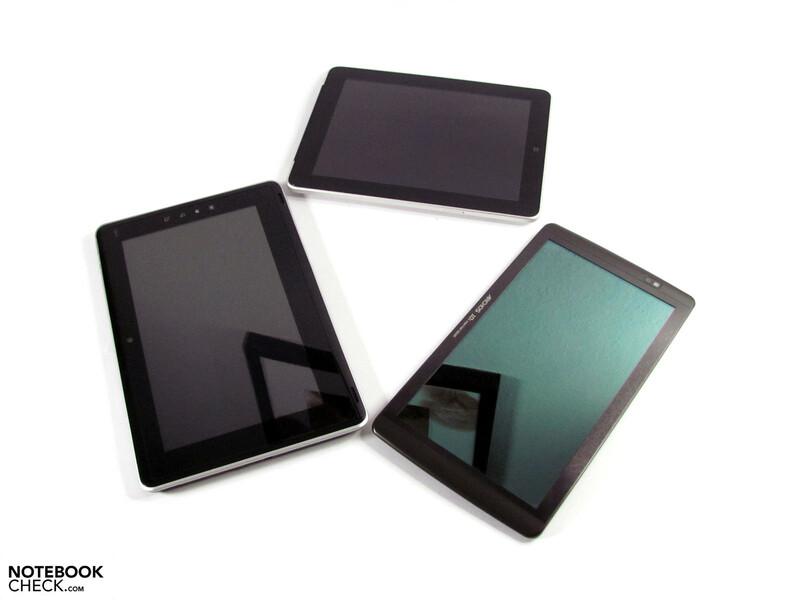 Several aspects of the highly-praised and much-anticipated tablet from the IFA 2010 turned out to be disappointments upon release. Display, interface concept, features and equipment options did not live up to what was promised or what one had secretly hoped for. The bar was raised quite high by the Apple iPad and it hasn't been reached by the competition, not by a long-shot. The tailored interface concept based on Apple's own iOs operating system as well as the outstanding display are only two features which stand apart, and still aren't offered in this form by any other tablet. 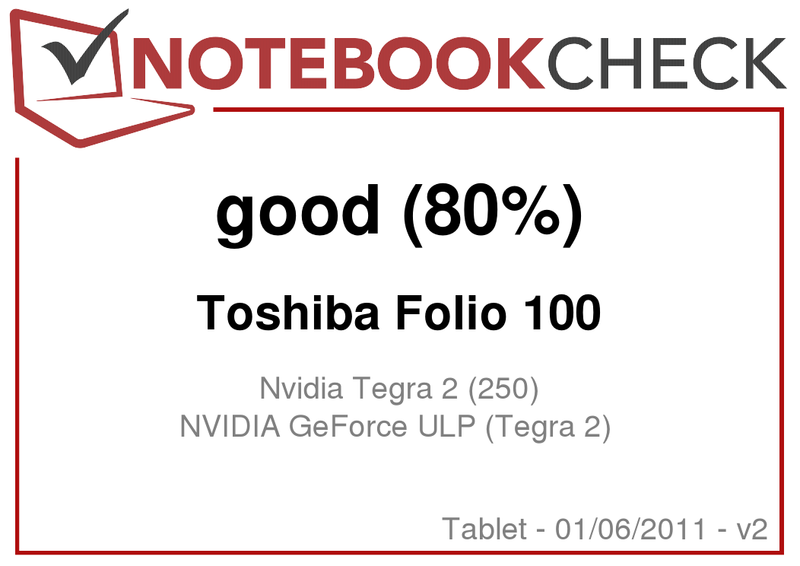 In terms of technology, the Toshiba Folio 100 has an important built-in selling point with its Nvidias Tegra 250, which, at least in theory, can boast considerably greater performance reserves than Apple's A4 processor. Also, a webcam, HDMI, a card reader and USB 2.0 aren't even available on the iPad, which for many users is an important selling point. The Folio 100 we have here in review represents the only variant currently available and in addition to the components already mentioned, it also offers 16 GB of flash memory as well as W-LAN and Bluetooth. This price is around 400.- euros. Although variants with more memory or UMTS are can be found in the manufacturer's specifications, they aren't currently available from a dealer. Perhaps something will come of that at the start of the new year. The case of Toshiba's tablet is made completely of plastic. The underside is roughened for grip, and the cover side is finished with a smooth surface for finger-touch use. The thin display frame is finished in the aluminum-look and although it loosens up the optics a bit, it's also made of plastic, just colored differently. 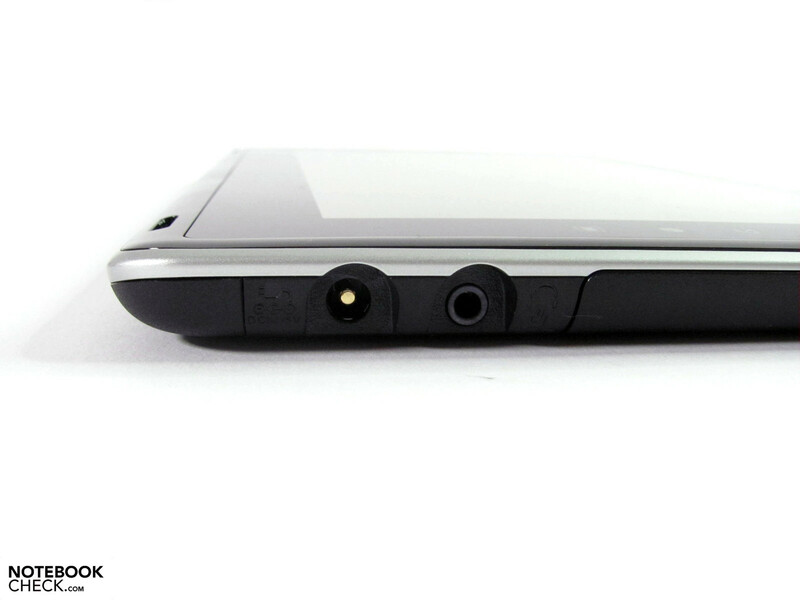 Integrated into the frame are the webcam, microphone, loudspeaker openings and the sensor keys typical for Android. The material used not only affects its feel, but impinges on the case's stability as well. Though the result is not nearly as disappointing as it was on the Archos 101, it's still a long way away from the class-leading Apple iPad. The rear in particular falters and can be pressed all the way to the inlaying components. This affects the display's image in much the same way as on the Archos 101. Applying medium pressure to the rear, which is pretty much equivalent to holding it single-handed in the left hand, results in corrugations in the lower left quadrant. But one really has to provoke this by pressing with a single finger and it shouldn't be a problem in "normal" operation. The on-/ off-key and the volume compensator are a bit hidden in the moulding and not finished as cleanly as one is used to from other Toshiba-notebooks. In addition to the rear's grippy structure, we also liked how the connections are partially covered by rubber lips as well as the option of removing the back side for changing out the battery. The vibration function, like on mobile phones, isn't really obvious and only makes itself known when the device is turned on. At first glance, the integrated connections seem pretty much the same as those on the Toshiba AC100 and the Archos 101, but they do differ a bit in detail. A regular USB 2.0 connection accepts all types of memory media, and the Folio 100 can be connected as a driver on a PC and thus easily filled with material. However, in contrast to the two competitors one has to choose the right format in advance in order to actually use external USB memories. The Folio declared ExtFAT and NTFS formatted memory media to be defect or empty. (NTFS was for instance accepted without any problem by the AC100 and Archos 101.) The Folio 100 only recognized FAT32 formatted memories, but one can also easily play music and films from that. In addition to that, our test model had Bluetooth, W-LAN 802.11 b/g/n, a headset outlet (combi with microphone port) and a card reader which accepts MMC and SD cards up to 32 GB. Although not advertised, a 4GB SDHC card was also recognized without any problem. Small advantage: In contrast to the Archos 101, normal-sized memory cards can be used here. 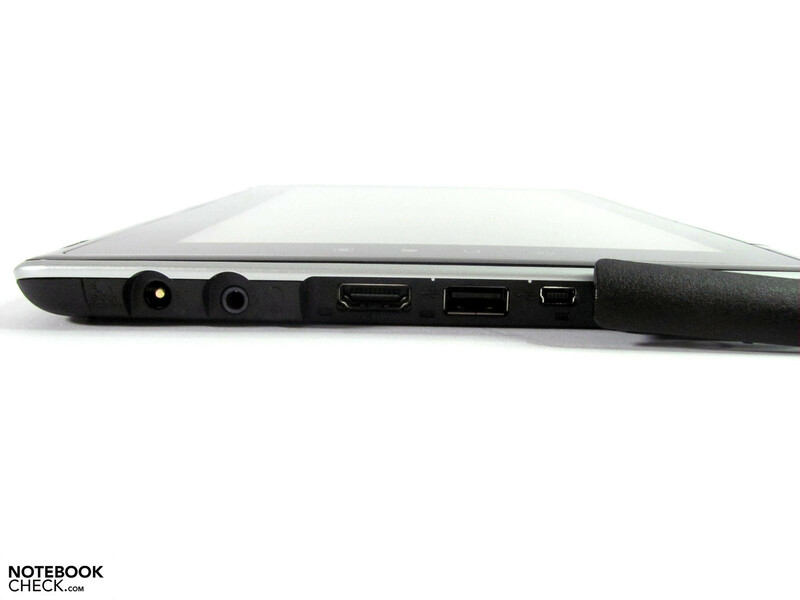 Like on the Archos 101, the HDMI connection comes in a mini-format on the Folio, while the Toshiba AC100 has a regular port. 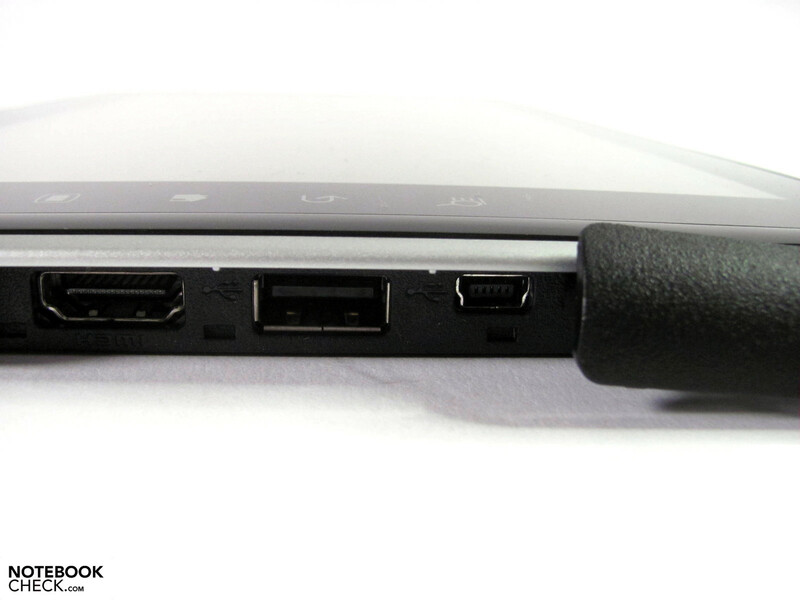 Just like with the Archos-competitors, the packaging contains neither a compatible mini-HDMI nor an HDMI cable. 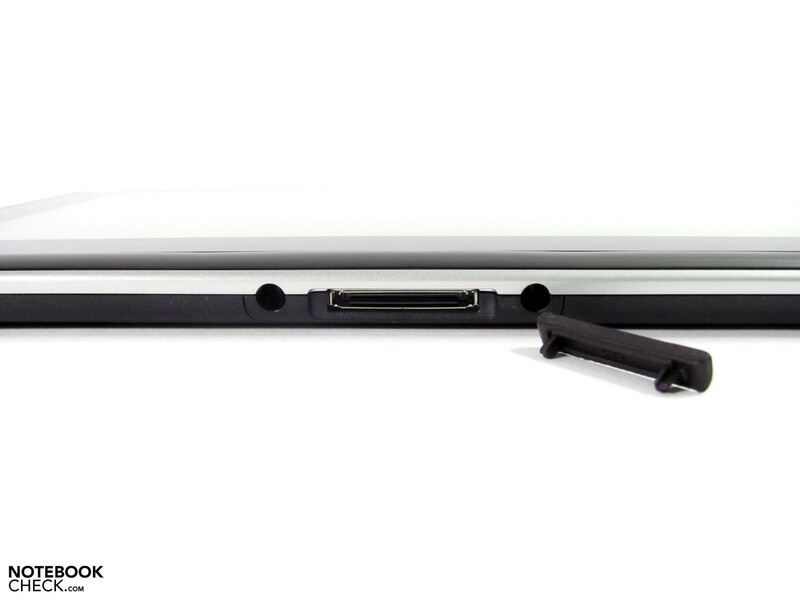 The slide lock on the left side unlocks the underside-panel and allows one to view the components and change out the battery. 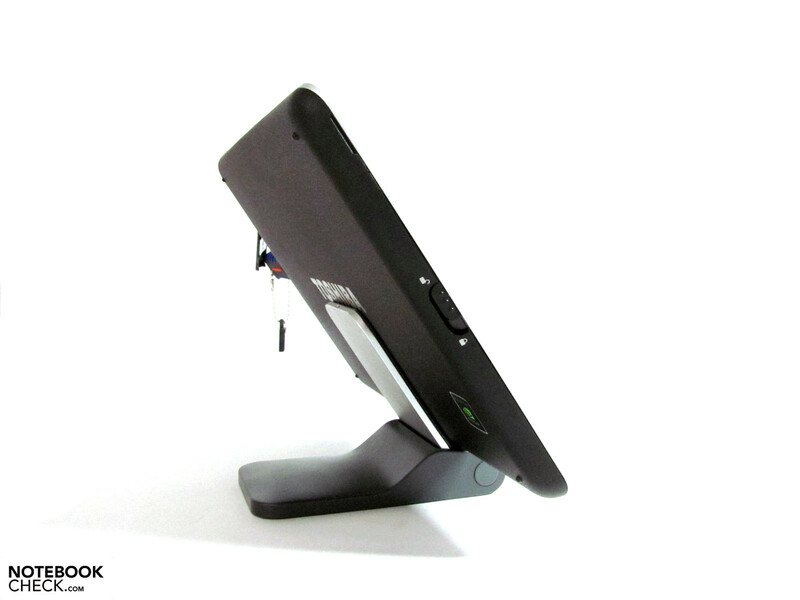 Finally, the Folio offers a real equipment-plus with the docking port. Three additional USB connections and HDMI can be connected here using the docking station (called TV-Kit) in the form of a drawer. A remote control is also included in the package and extends the infrared receiver already integrated in the display frame (not tested). TV Kit (PA3896E-1ETC) docking station with 3x USB, HDMI, remote control (ca. 70,- Euro), bag (PA3913E-1ETB) with integrated stand-up display (ca. 35,- Euro). 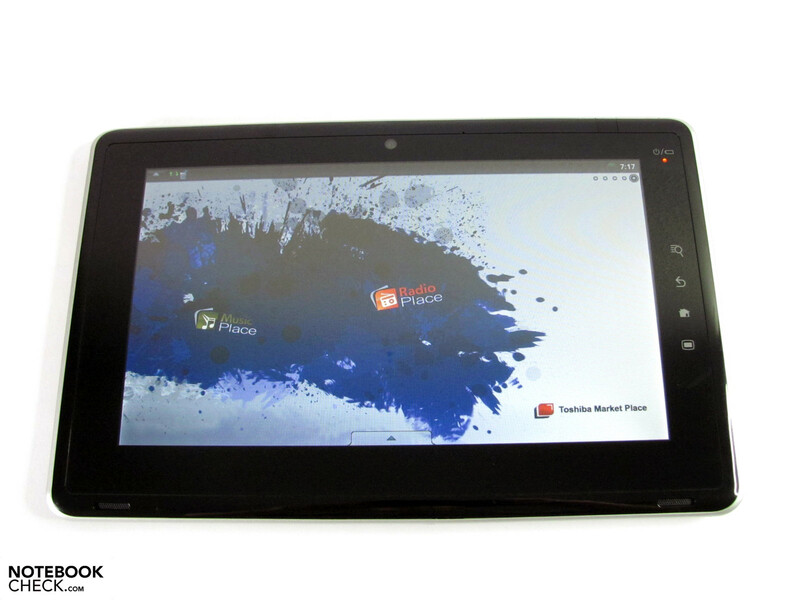 Just as on the Archos 101, the Toshiba Folio 100 doesn't have access to Google's Android Market. Because of that, a great deal of the Android apps which are actually available were blocked from the tester. Toshiba tries to make up for this deficit with its own Toshiba Market, though this only offers around 1800 apps. But one still has access to Camangi Market and the AndroidPit, which can still provide some additional apps. On the other hand, it also doesn't have access to Archos' own AppLib Store. Overall, access to apps is severely limited, where the no-availability of Flash Player will represent the most painful sacrifice of all for many users. 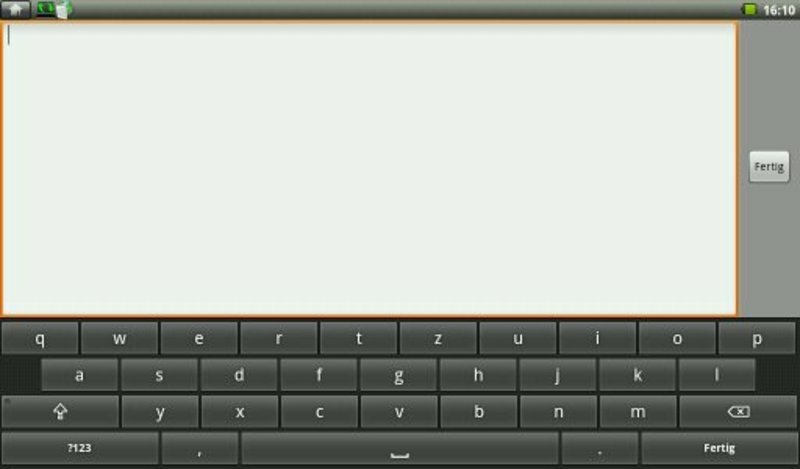 The virtual keyboard parallels the normal Android 2.2 keyboard which means its layout takes getting used to. The keys are much smaller than on the iPad and demand more concentration to avoid false inputs. It is therefore less suited for writing longer texts, though it's certainly good enough for normal surfing and renaming data, pictures etc. In addition to the various operating system variants currently available from Android, there are also differences in terms of the user interfaces used. 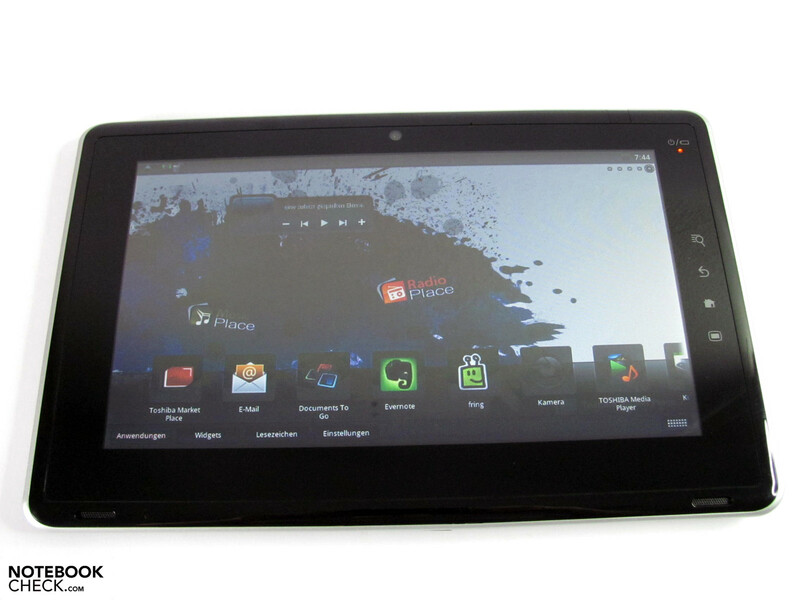 Some manufacturers install Android unchanged, such as for instance on the recently reviewed Archos 101, while others customize the interface and, depending on the manufacturer, use a more or less modified control concept, such as here on the Folio 100. 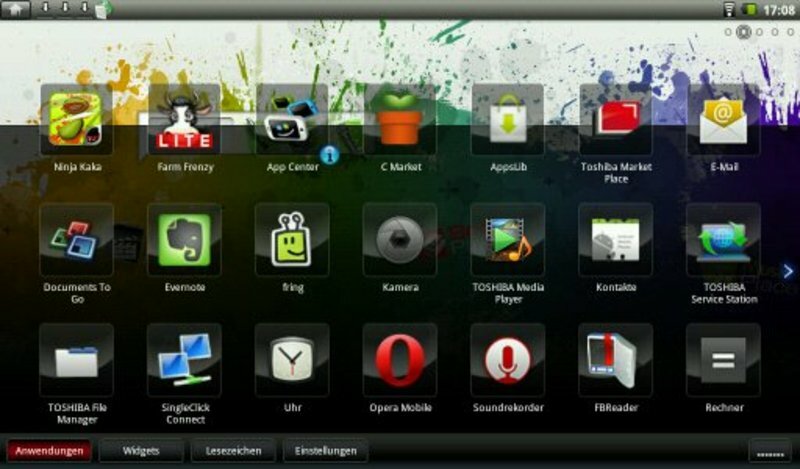 The installed apps are displayed here in a horizontally-running scrollbar which can be easily slid from left to right or the other way around. 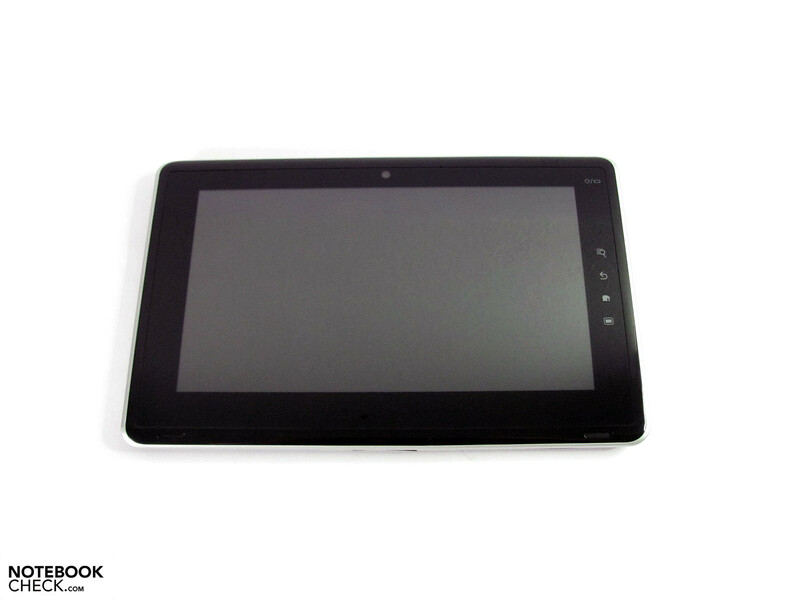 The capacitive display surface reacts well and responds consistently to inputs. The user is somewhat limited when using the otherwise-typical multi-finger inputs. This means that progressive zooming in the browser isn't done by sliding your fingers apart, but rather with two display magnifiers on the lower-right edge. Finger controls and rapid navigation should be supported by the sensor keys integrated on the right edge of the display. But even when clean, these react quite sluggishly and often demand an additional or firmer input. This gets worse once the first fingerprints leave their greasy layer behind. That's annoying. We much preferred the solution used on the Archos 101. There the buttons are integrated in the desktop and flip according to it alignment, thereby always landing in their normal position. Alignment of the desktop is handled by the motion sensor, which also comes into play in certain games such as for instance Raging Thunder. Another neat option is its ability to produce screenshots by pressing the magnifier and menu key simultaneously. Such a function in not directly implemented in Android, though manufacturers have had the option of integrating it since Froyo came out. This means that the way in which this screenshot-function is converted varies greatly depending on the manufacturer and device. On the Archos 101 for instance, the suspend-key was converted. 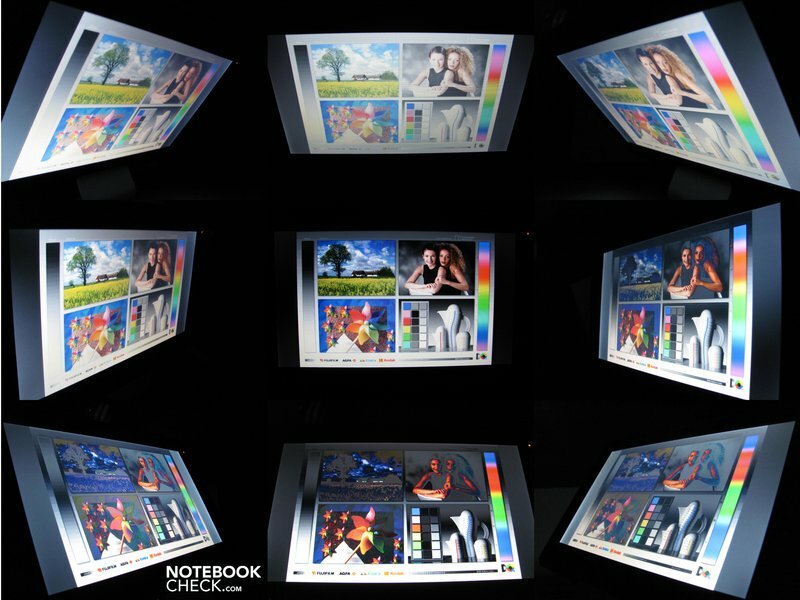 The Folio 100 has a 10.1" LED display with a reflective surface offering a resolution of 1024x600 pixels. Films in particular benefit from the 16:9 aspect ratio format as there are far fewer black bars than for instance on Apple's iPad in the 4:3 format. There is on the other hand less vertical space for surfing the Internet and reading documents, which means the user has to scroll more often. The maximum brightness we tested was at a solid 256 cd/m2, which was also achieved under battery power. This is certainly enough for indoors and also allows use outdoors, but the reflective display has to be taken into consideration and find a spot away from direct sunlight found. Together with the other 8 measurement spots, we got an equally good illumination of 89%. We weren't so impressed by the contrast ratio of 157:1. Colors seem pale, deep blacks are missing (particularly in films and pictures) and whites have a noticeable gray haze to them. We were even less impressed by the potential viewing angles, especially in the vertically range. Though these are subjectively a bit more stable than on the Archos 101, they are still far from the level of a praxis-oriented tablet display. Depending on the direction, variations from the ideal position lead to significant inversions or cause the image to be washed out a great deal. Preferably, you should hold the Folio in your hand when watching videos; it is pretty much unusable as a TV-replacement. The horizontal viewing angles, which are in fact quite stable, don't help much, as these mostly come into play in the upright format. In a direct comparison, the Folio's display clearly has nothing on Apple's iPad and is a considerable weak point. As mentioned, the hardware equipment is a small highlight in the ARM sector. The Nvidia Tegra 250 multicore CPU/ GPU combination boasts huge potential in and of itself, but also on offer is also a Cortex A9 dual-core processor with 1GHz of clocking speed, a ULP Nvidia graphics processor, a separate HD video processor (1080p) and an additional co-processor for other tasks. 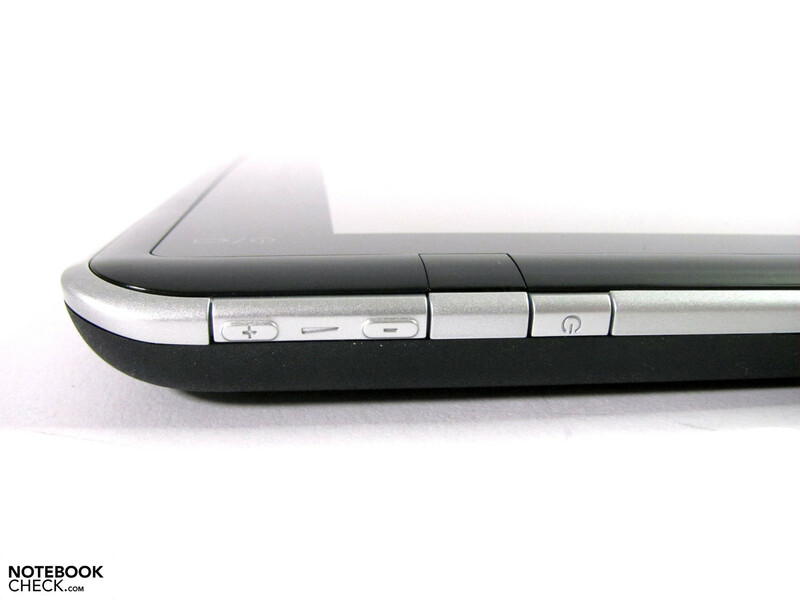 Furthermore, with 512 MB of RAM, the Folio has twice as much memory as the iPad or the Archos 101. One can use around 12.5 GB of the 16 GB of flash memory as mass memory on the Folio. That is in our opinion also the absolute minimum if one wishes to make reasonable use of the multimedia capabilities for videos, music, pictures, and apps. A great advantage of many Apple-alternatives, such as here with the Folio 100, is the normally integrated card reader, which allows for quick and easy expansion of the memory. Like the operating system itself, the Quadrant Android Benchmark was actually conceived for mobile phones. 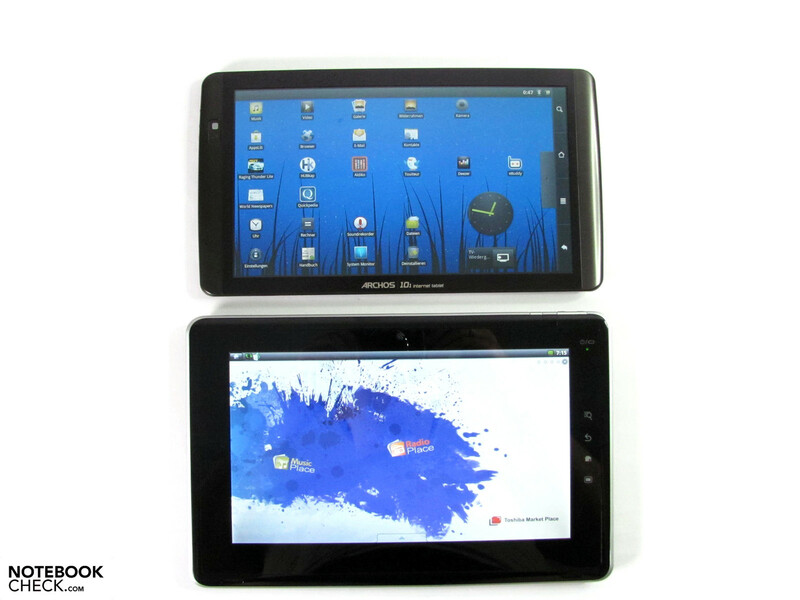 However, it currently represents one of the few possibilities for comparing Android tablets to one another. We ran several passes on the Toshiba Folio and consistently got very identical results with variations in the single-digit range. Here the Folio got 1631 points and thus surpassed our only comparable value from the Archos 101 (1235 points) by just under 400 points. But, we focused mainly on our experience when surfing, transferring data, watching videos, listening to music and much more. As long as the memory is not excessively engaged, one can work very smoothly with the Folio. Not even once did we notice jerking and hesitation. But this changes after using it for a while. 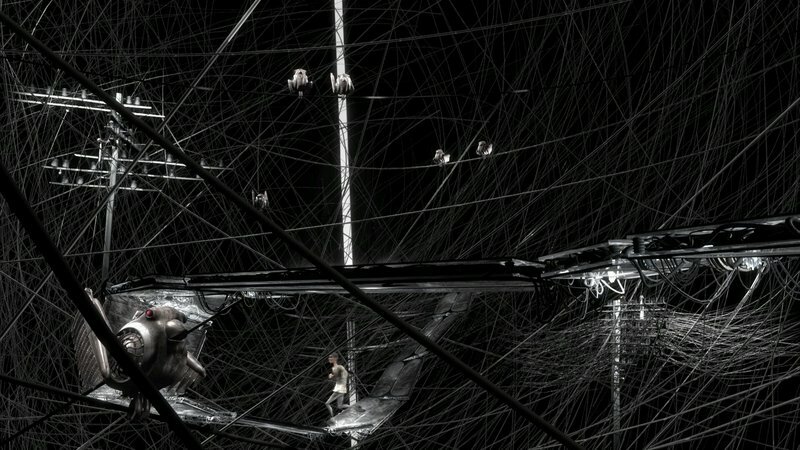 Many tasks remain open, still running in the background, thus impeding the memory. From that the point the system becomes stingy and annoying due to the long waiting times. Therefore after use one should be pernickety and make sure not to just exit the programs via the home button, but rather to actually end each app individually with the back key. 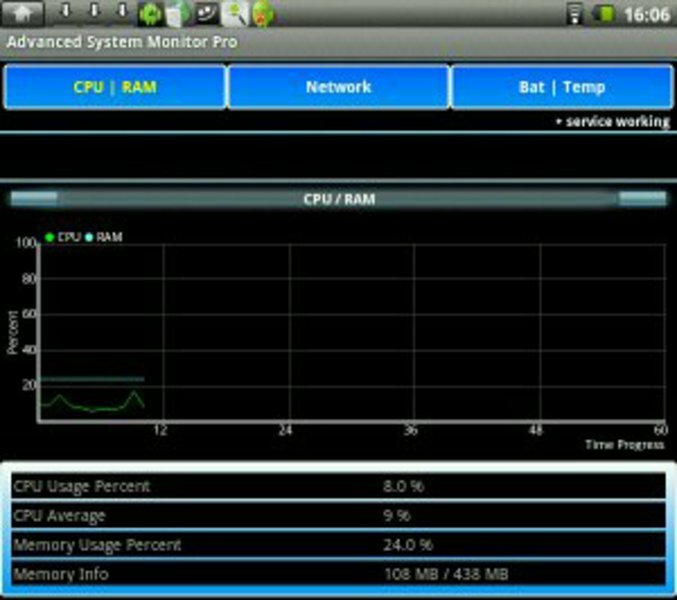 Task Manager or Task Kill Tools (apps) also help by listing the culprits and closing them individually or all together. 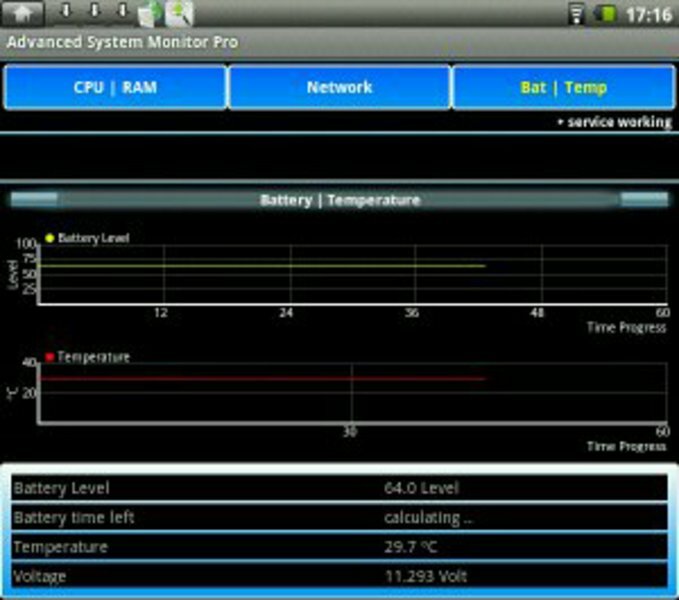 Archos also already installed an app by the name of System Monitor on the Archos 101, but on the Toshiba Folio 100 one must search for something suitable themselves. All of the wmv, AVI, H.264 test-videos we used in 1080p, 720p and other resolutions played without a problem. Among the titles were Elephants Dream, Big Buck Bunny, several trailers (300, Serenity, Ice Age 3) and Seven in various versions. No jerking, lapses or sound distortion dampened the film-viewing pleasure. The only thing we had to do without was Flash, as Adobe's Flash Player is currently only available through Google's Android-Market on certified devices. Games in the league of Infinity Blade, Real Racing HD or Galaxy on fire (all iPad) are at this time not available for the Folio, as well as for all other Android devices. But also the titles which should be available are not typically usable due to the lack of access to Android Market. 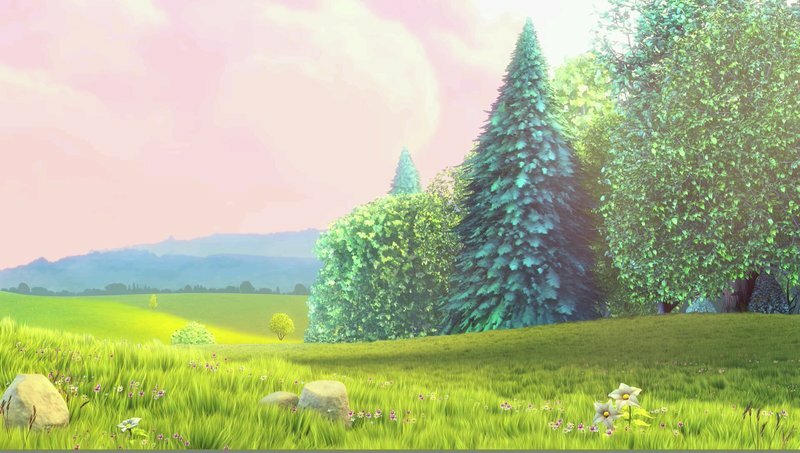 Titles like Farm Frency, Fruit Ninja etc. run without a problem, but these are quite low-demanding and don't come close to pushing the limits of the Nvidia Tegra 250's potential. One can expect a long wait when making a network connecting from W-LAN to the router after being in suspend mode. Sometimes it seems as though there is no internet connection available, although one does in fact exist. In general the system appears to have problems waking up from suspend, as we often had to try restarting in order to reengage Android. 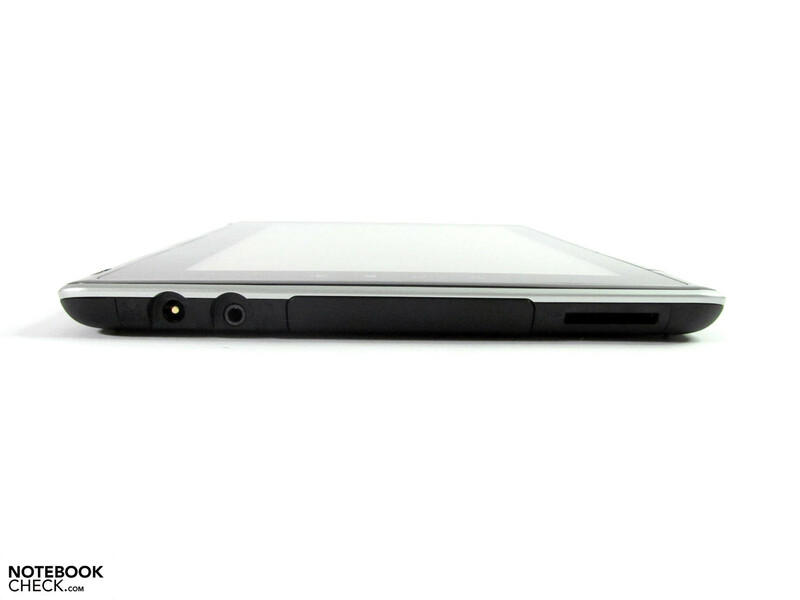 Operating noise and heat emissions are foreign concepts for the Toshiba Folio 100. Despite operating without a fan, the surface temperature only got to a maximum of 30.7°C. (+) The average temperature for the upper side under maximal load is 24.6 °C / 76 F, compared to the average of 30.7 °C / 87 F for the devices in the class Tablet. (+) The maximum temperature on the upper side is 27.6 °C / 82 F, compared to the average of 34.8 °C / 95 F, ranging from 22.2 to 51.8 °C for the class Tablet. The 2x 0.5 watt speakers have a limited maximum volume and only produce high sounds with a bit of garnishing in the mid-range. It is lacking in bass. Headphones or a separate speaker are definately advisable if one is looking for anything more than background noise or system sounds. When connected to a power source, we measured a minimum current consumption of 2.3 watts up to a maximum of 4.5 watts. Under light load, an increase in its energy use is caused primarily by the display and radio module, which raise the values up to 3.1 watts. It was under full load, here with full-HD videos playing, that we exhausted the maximum measurement of 4.5 watts. 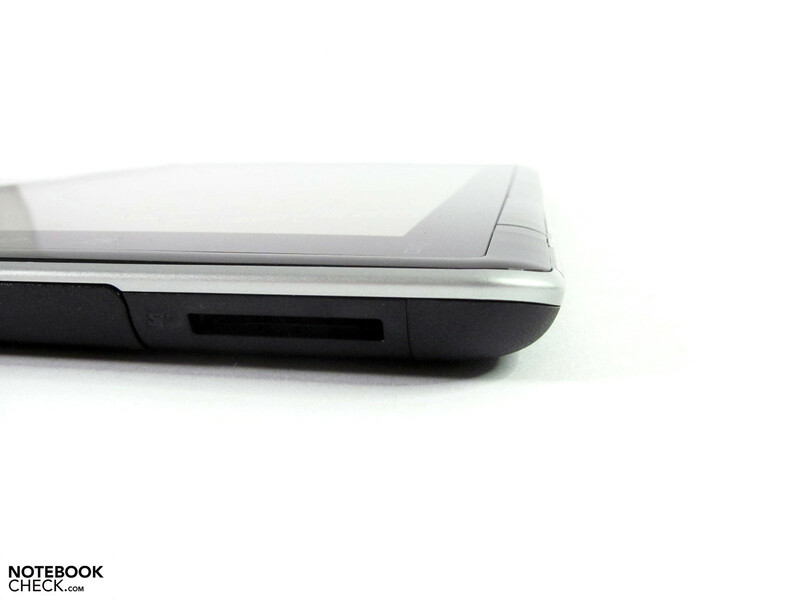 Toshiba equipped the Folio 100 with a strong 22.6 Wh battery which can be swapped out at the rear. This helps the tablet achieve a maximum runtime of 521 minutes. But this was achieved only with minimal brightness and all consumers switched off. Practically speaking, this applies at most to using it as a music player, whereby one can do without using the display making it capable of longer runtimes. We got a runtime of 417 min. with W-LAN turned on, the display brightness level set at around 75% and while engaging a mix of browser tasks, music and diashow. 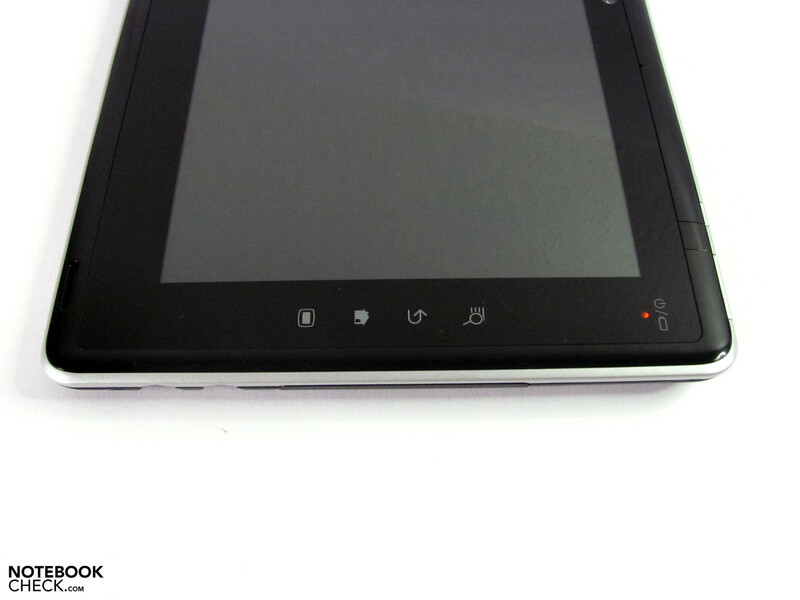 With full display brightness, W-LAN and pure Internet surfing, its usable life is reduced to 358 min. It lasted 223 min. when a film with material suitable for the display was added to the mix. Those wanting to play Full-HD material (1080p) have to make do with a runtime of 189 min, whereby also in this case, using it as a player via HDMI means the display normally remains off and should thereby increase the runtimes a bit. The same scenario with all the consumers turned on reduces the minimum useable life to 151 min. 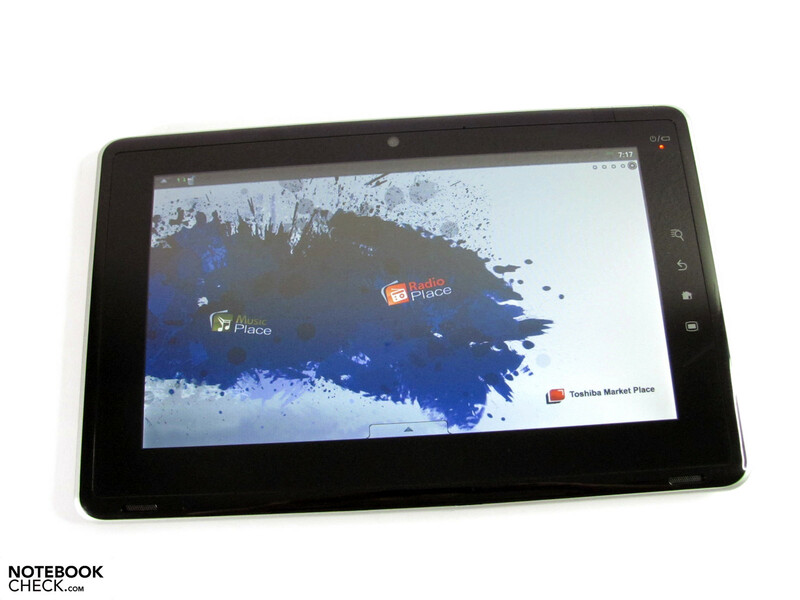 The Toshiba Folio has several merits which score well compared to some of the Android competitors. 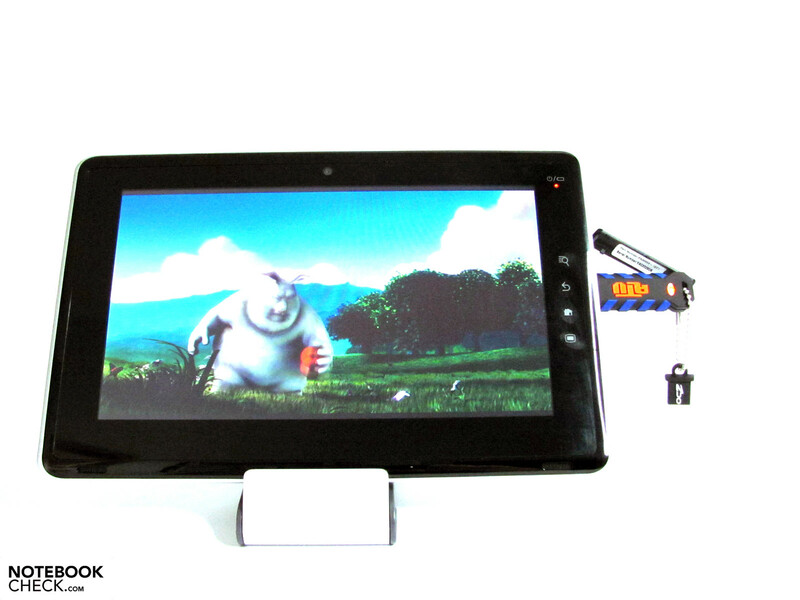 The display offers good maximum brightness, the range of equipment with webcam, card reader, USB, HDMI and docking port is impressive and Android 2.2 is already installed. But not all Androids are created equal. The Folio doesn't have access to Google's Android Market which means that the range of apps is greatly limited and that it doesn't offer Flash Player. Being limited to FAT32-formatted memory also isn't exactly what one would expect. On the other hand, it has a smooth interface operation and the battery runtimes in practice is quite appealing. Though the quality of the case is much better than on the Archos 101, it still doesn't reach the level of a Samsung Galaxy Tab or even an Apple iPad. It is also heavy and large. Also limiting is the display, which is weak in contrast and produces images, which are very dependent on the viewing angle. It is also only suitable in some circumstances for use outdoors. The performance potential of the hardware is good for an Android-tablet, but due to the lack of demanding apps, the strengths of the Nvidia Tegra 250 only come to light when depicting full-HD. Overall, the Folio 100 can be used well as a multimedia- and surfing device so long as one can accept those limitations mentioned as well as the relatively high price. A stand-up-display is very useful for watching films, but it must be gotten separately. The on-/ off-switch is rather small, the volume compensator only has a small range of control. 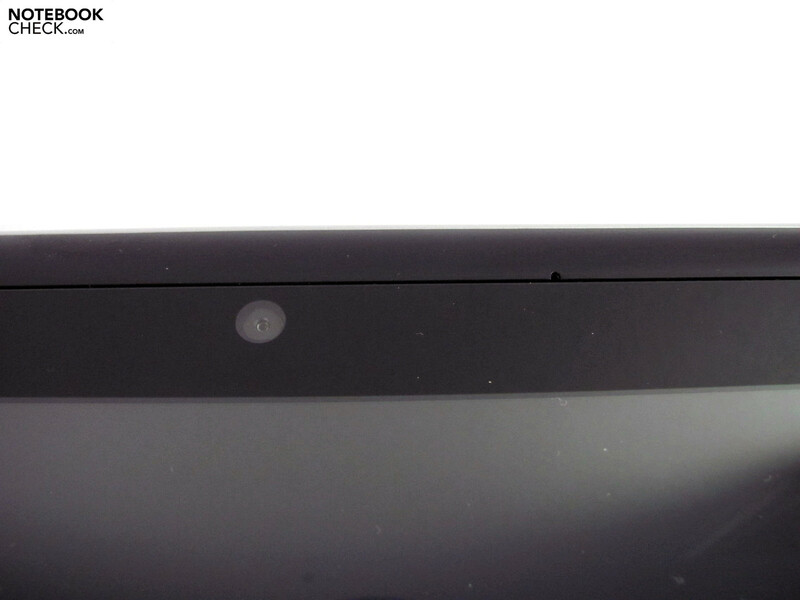 ... as are the webcam and internal microphone. 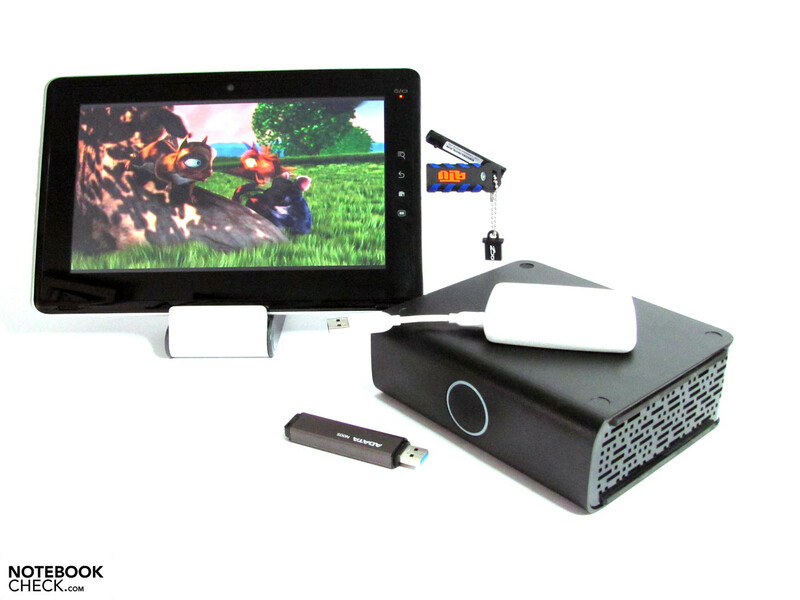 ...such as mini HDMI, USB 2.0 and mini USB. The card reader accepts normally-sized media. ...although the power connection would be less annoying if at the rear. The sensor keys are housed in the right part of the frame and only react reluctantly. Although both the Archos and the Folio are 10.1" devices, the case of the Toshiba is noticeably larger and heavier. ...sound quite promising when compared to competitors like the Archos 101 or the the iPad from Apple. The power pack is relatively large and heavy, but it can in most cases be left at home. The equipment including a docking interface is solid, and the bright display gives it an edge on the competition, at least in this respect. 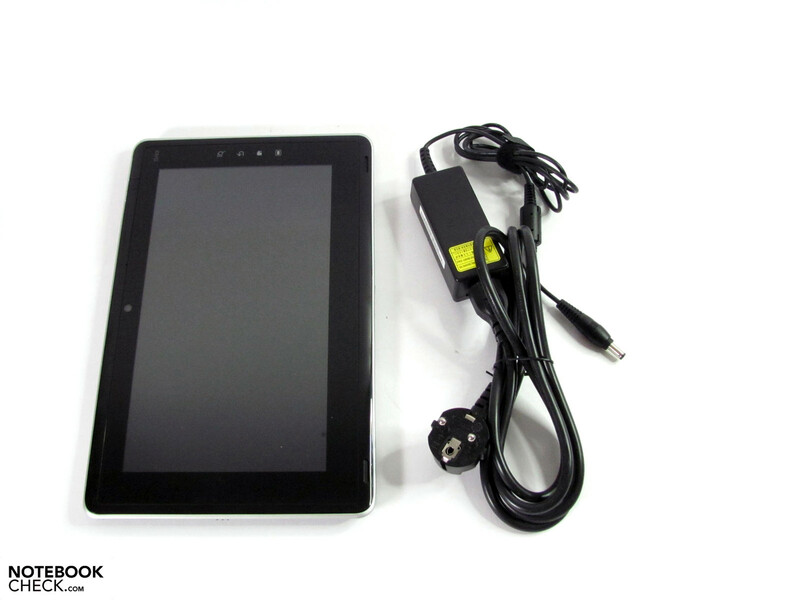 A display suitable for a tablet with good viewing angle stability and decent contrasts. Also, still missing are Flash Player, a mini HDMI cable and a UMTS-model. That despite some interesting basic approaches, the Folio 100 still resembles a site under construction, and that it even comes out worse than the much cheaper Archos 101 in several component areas. 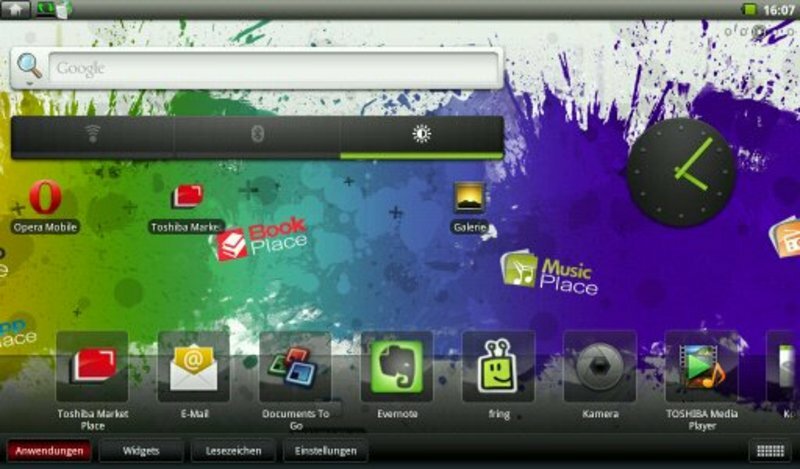 In the Android branch there are the Archos 101, Dell Streak and Samsung Galaxy Tab. The Apple iPad uses Apple iOs, and is still unchallenged in terms of quality, performance and unsability. However, it can't offer USB, card reader, HDMI or webcam.